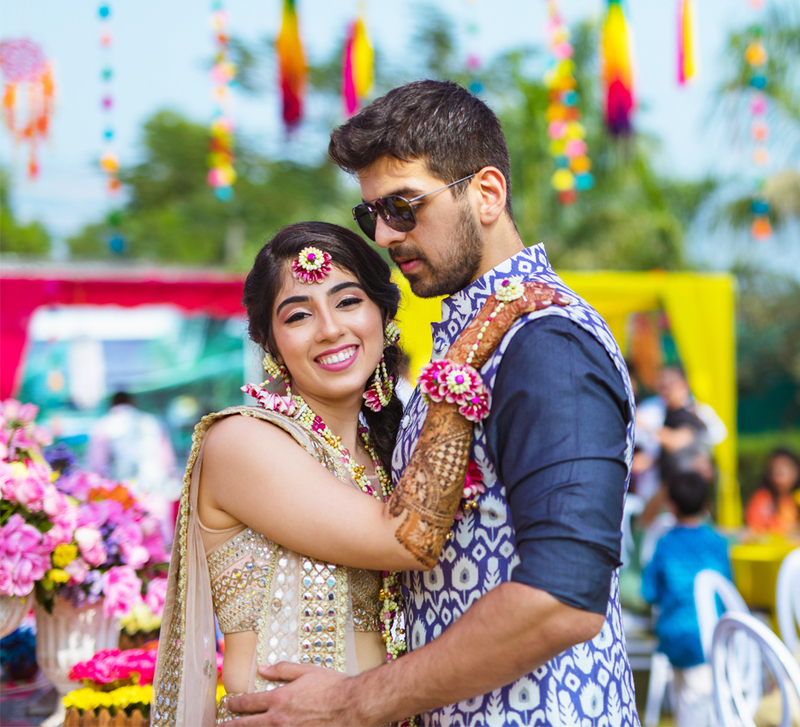 At Kanika and Abhinav’s wedding unique themes were united with endless love to create a celebration of a lifetime! 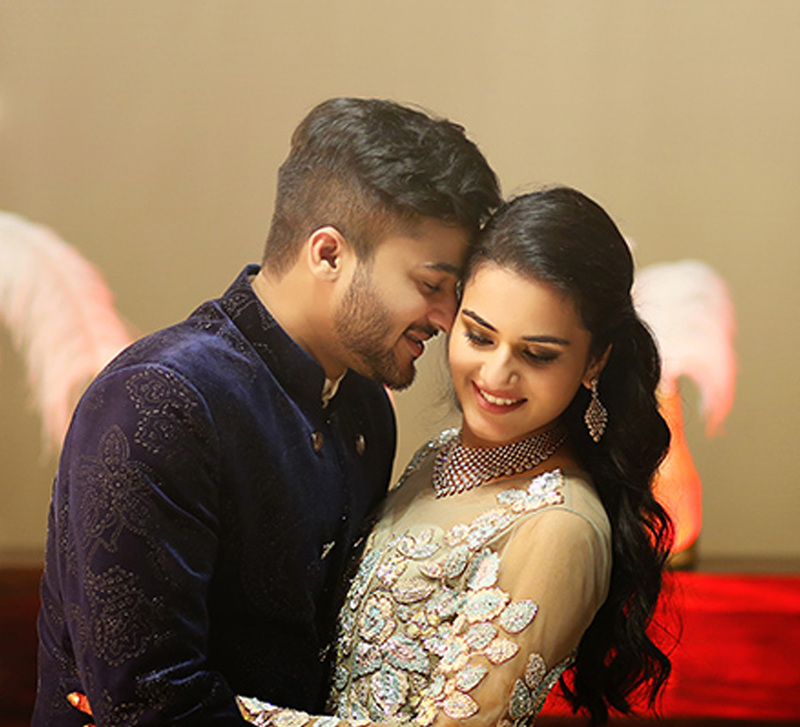 Kanika and Abhinav studied together from the time they were in pre-school but it took fate and their families to get them together. 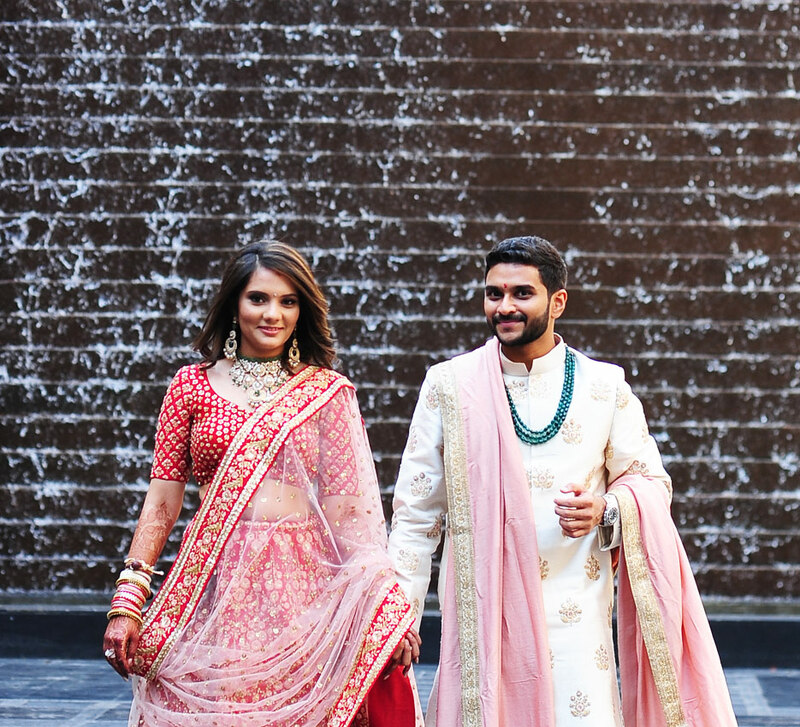 Once united though, they were inseparable and a grand wedding at The Palayana Hua Hin in Thailand was held in order to celebrate their bond. “The theme for this function was ‘Wonderland’ with a very whimsical vibe rendered in decor elements. Pink flamingos, teapots, flowers, and balloons were incorporated into the bright, colorful setup. We had several game booths to make it more interactive and our guests loved that! 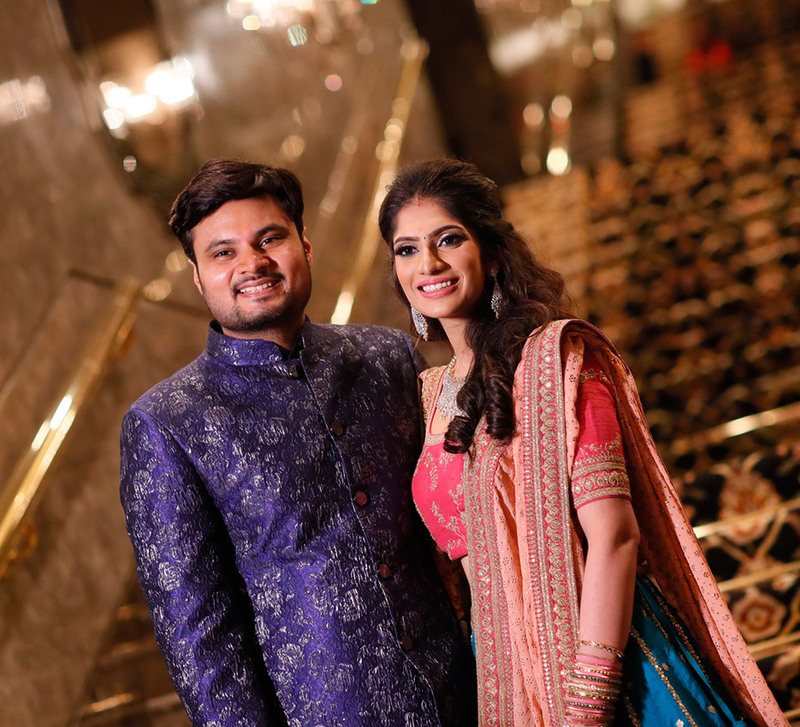 I wore a blue lehenga by Abu Jani Sandeep Khosla and Abhinav complemented my outfit in a blue kurta pyjama and yellow bandhgala from Diwan Saheb.